I'm a single man going to a wedding this weekend, so it's seemingly ironic that I'd be writing about Significant Other right now, a story about a man who is always the best friend, never the groom. Truthfully, I'm thrilled to be writing about it...Joshua Harmon has done it again! Written a magnificently brilliant play, that is. One that's as funny as it is heart-breaking, as relevant as it is heart-touching. Significant Other wraps up the 2015-2016 Actor's Express season, but leaves you wanting more of this fantastic cast! Lee Osorio, born and raised in Georgia, is the star of the show, and I don't use the word "star" lightly...he's brilliant! 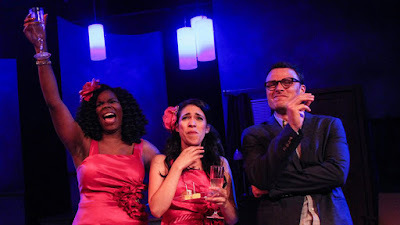 He plays Jordan (above left), the gay best friend, a role typically relegated to quirky comic relief. Not so in this show. His longing for love is center stage. His happiness for his friends' wedded bliss vs. lonely night after night after wedding after wedding plays out before your eyes, elating and crushing your heart. Lee just earned his MFA at Brown University in Rhode Island, but I sincerely hope he'll stay in Georgia and treat Atlanta to his acting brilliance! He's definitely a new favorite of mine. Diany Rodriguez (Into the Woods, Informed Consent) plays Laura (above right), Jordan's closest and dearest friend. Throughout the play you see the strength of their friendship, but it's in the final act when you see, hear and feel how deep and honest and loving their relationship truly is. I would venture to say that true friendship is not without its trials and a few tears, but those can strengthen a friendship to the point of lasting a lifetime. Suffice it to say that you're in for quite an experience when you see Significant Other. Open your heart to a great time. 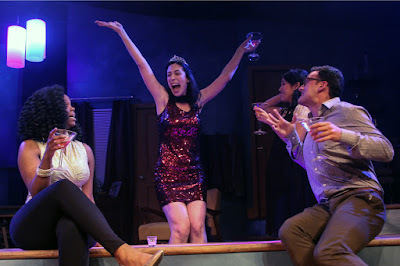 Cara Mantella, who plays the role of Kiki (above center), is side-splitting hilarious and perhaps one of the most honest characters in the show. You certainly never have to wonder what she's thinking, yet you're continuously laughing out loud at her I-can't-believe-she-said-that comments. She so reminds me of some of my best friends...the ones who always speak their mind! 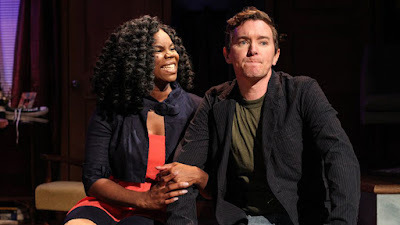 Edward McCreary (Carousel, Memphis, Vanya and Sonia and Masha and Spike) is one of two actors who performs the roles of three characters: Tony, Will and Conrad (above right)...quite brilliantly, I should add! Edward's roles range from hottie coworker and love interest of Jordan's to fiance-husband of one of Jordan's dear friends. Edward is an excellent actor with quite the breadth of skill. I personally think he's most brilliant in the heavier roles, but certainly entertaining in a lighter, playful role...either way, I don't think anyone is going to storm out of the theatre when he bares his chest. There is a pair of green gym shoes that practically have their own story arc...keep an eye on them, and their ultimate, hilarious fate. Brittany Inge, who has quite the impressive resume, plays Vanessa (above left), one of Jordan's best friends. She's real, wholly believable and I would guess is somewhat playing herself—she's that convincing. Vanessa is hilarious, fun-loving, and totally, gushingly in love when she unexpectedly meets the right guy. Significant Other is more than a story about a gay best friend who is desperately seeking love, and despite his desperate measures finds that love is frustratingly, seemingly everlastingly evasive. In the end, he's not so desperate that he's going to sacrifice love just to be in a relationship—thank goodness! But his desperation (notice how often I'm using the word desperate?) is his undoing, a time or two. I've never found desperation to be an attractive quality, but Jordan personifies not only how ridiculous it is, he shows how heart-breaking and real loneliness can be. I've always thought desperate people were out of touch, but I guess in the end they just want what all of us want...to be loved. Their particular methods are just more visible to the world. I judge no more. Don't get me wrong. This is definitely a romantic-comedy and go into it knowing and expecting that. I'm just saying that in more way than one, Significant Other brings to light the sometimes too long odyssey of yearning for love. Jeremy Aggers is the other actor who performs the role of three different characters: Evan, Gideon and Roger (above right). I've never seen anyone play a range of fiercely annoying to charmingly smitten the way Jeremy does. Seriously...if the fingernails-on-a-chalkboard laugh doesn't send you running for the exit, his Prince Charming love for Vanessa will definitely keep you in your seat. I've not seen Jeremy onstage before, but I certainly hope I will again. 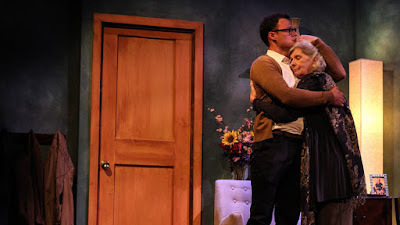 Judy Leavell, who plays Helene (above right), Jordan's grandmother, is the one character who never gives up hope, who remains steadfast confident that Jordan will find love in his life, even through living with a medication-necessary memory ailment. She's endearing, caring, loving...she will either remind you of your own grandmother or make you wish she was yours. If you saw Bad Jews by Joshua Harmon, then you already have an idea of how brilliant Significant Other is. 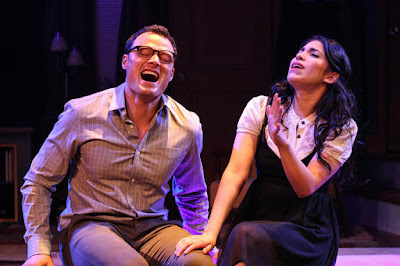 Bad Jews, which I did not see, but have heard so much about, became a huge hit in New York and was widely produced in America, and it was the highest grossing non-musical play in Actor's Express history! 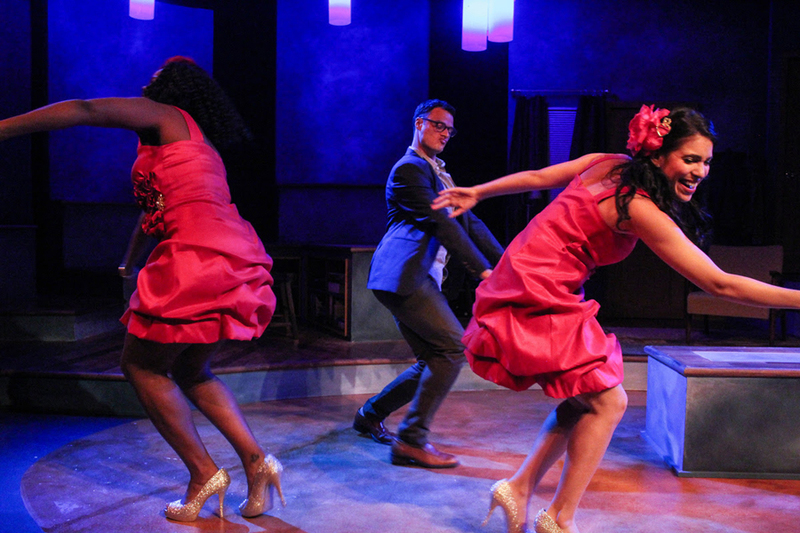 Significant Other is Harmon's newest play and wraps up the 2015-2016 Actor's Express season, closing Sunday, June 19. What a magnificent way to finish up the year! 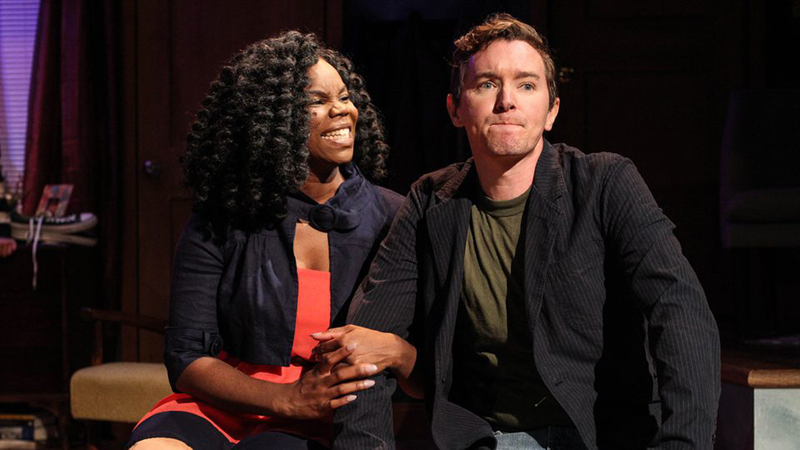 Up next at Actor's Express, Company, winner of seven Tony Awards, including Best Musical, with music and lyrics by Stephen Sondheim and directed by Freddie Ashley, who said of Significant Other, "Joshua Harmon finds humor in the complexities of contemporary life like no other young writer in American today. 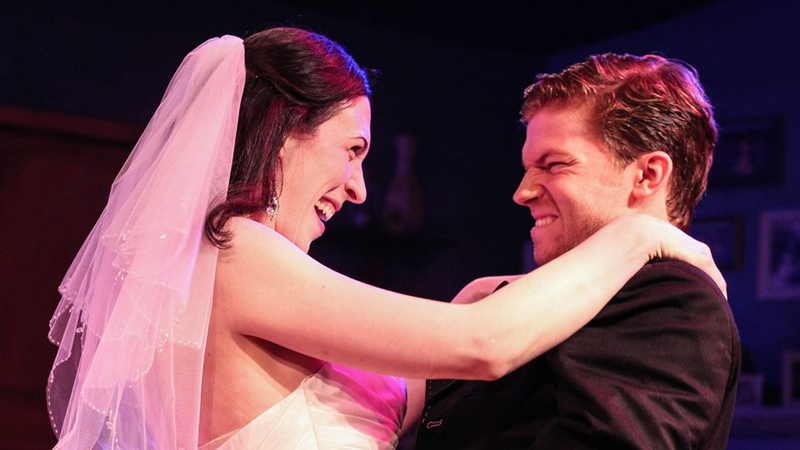 I'm thrilled to follow up his play Bad Jews with this fresh, funny, moving comedy." By the way, just in case you were wondering, I'm grateful that I'm not going to the wedding this weekend alone, but I would have. It's the wedding of one of my dearest, most trusted friends...a beautiful, bright-blue-eyed, lovely woman who I've had the honor and pleasure of calling friend for nearly 30 years. This is going to be a memory-making occasion!